Finding sunglasses that suit your face can be a difficult task, even for the most fashion-conscious individuals. Identifying the shape of your face can be one of, if not the, most important factors when choosing frames. Certain frames will suit some facial features better than others and it’s also wise to consider your hair colour and skin tone when choosing sunglasses. There are several different face shapes such as square, oval and round. 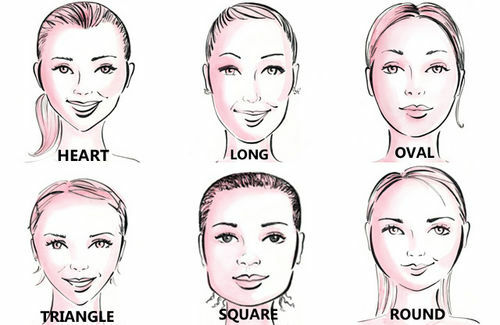 Although these are the most common face shapes, there are others that are more unique. Once you have distinguished which shape resembles you best, you will find it easier to choose a particular style of sunglasses. The goal with a square face is to soften the angles, and to make the face look longer. Narrow frames, especially oval and round-shaped ones, will help you to achieve this. Square frames will do the opposite and could look out of place. This is the ideal face shape. Almost any frame will fit and look good, as long as the frame is as wide as or wider than the face. If you have a round face, the goal is to make the face appear longer and thinner. Angular or rectangular frames that are wider than they are deep are best suited for this face type. Oval and curved square frames that are no wider than the cheekbones will help soften the naturally angular features on this face type. To help make this face type appear shorter and wider at the same time, it is best to choose a frame that is a large and square or round in shape. They should be no wider than the widest part of the face. For this face type, the frame should aim to make the face look more balanced. To achieve this, choose small square or rounded frames, and frames that are wider at the bottom. To best compliment this face type, choose a cat’s-eye style, or a frame with a detailed top and rimless bottom. This will widen the forehead and draw attention to the eyes. Complimenting your hair colour and style with your sunglasses is another very important step when choosing the perfect pair. Transparent and softer-coloured frames are best suited towards individuals with fair coloured hair, as the sunglasses will not overwhelm the face. Brighter, more dramatic frames work best with people who have darker hair as they will help to enhance the face. Just as hair colour plays an important role in choosing the right frame, so does the colour of your skin. For those with a fair complexion, try a lightweight orange or red frame, or a light coloured tortoiseshell frame. Stay away from clear, blue, or green frames, which will make the face look paler. People with darker complexions should choose a clear, gold, or silver frame, while staying away from a heavy-looking black frame. Very dark and black complexions look best with brightly coloured and full metal frames. When choosing sunglasses to suit your face there are many factors to consider. Face shape, skin tone and hair colour are three very important factors that all require different styles, shapes and colours of frames. For more information on quality sunglasses, check out Sunglasses UK. Great post! I have a oval/roundish face so i only really stick to either huuuuuuuge round glasses or square glasses. I am having an oval face shape. I feel so lucky to have a such an ideal face shape. But still I am scared to go for different style of sunglasses.